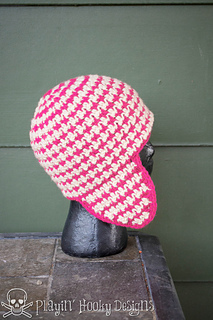 Houndstooth - a classic pattern made modern in a crocheted beanie. I couldn’t find a pattern like this so I made my own. It’s the original Houndstooth Beanie. The best thing about it? It’s reversible! So you really get 2 hats in one. 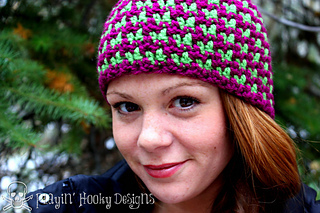 Recently I updated my pattern and added an extra option for you to customize - Earflaps! They are also fully reversible and made in the houndstooth pattern. I offer free e-mail customer service after every pattern purchase. If you have a question, I’m here to help you. Don’t be fooled by imitations. 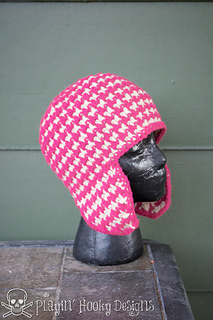 This is the original Houndstooth Beanie! Thank you to Jess from JLight Photography!